Who would not want to go back and relive their childhood days? We all remember the thrill of going to an amusement park, anticipating the excitement of going on a roller coaster. Rival Gaming brings a slot just to take us back into those days with Midway Madness slot. The video slot, which has a theme based on an amusement park is a colourful and vibrant game. It allows more interactions than any other ordinary video slots. One of the best things about the game is driving bumper cars to collect coins, instead of spinning the reels, throwing balls up the ramp and catching various scoops of ice creams during the bonus feature. Midway Madness slot consists of 5 reels and 20 pay lines, with exciting opportunities for the players to win while having fun. 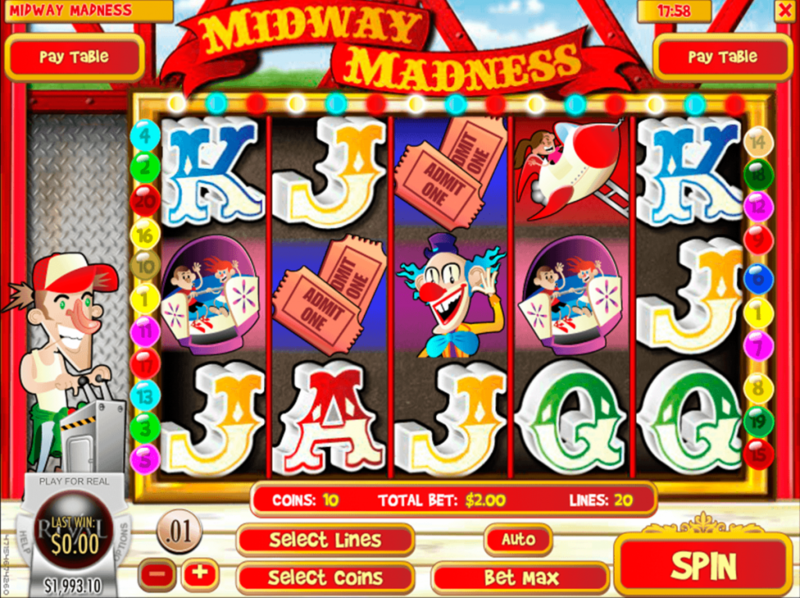 Midway Madness is not just any ordinary slot, rather it’s an i-slot, in which ‘I’ stands for interactive. Just like other interactive slots, the decisions taken by the players, usually decide their progress. The three bonus rounds are filled with thrill because of the mini games that they include. The icons are vibrant, just like everything else in the game, which justify the theme brilliantly. Before starting the game, the player needs to select a coin value, which range from 0.01 to 0.25. 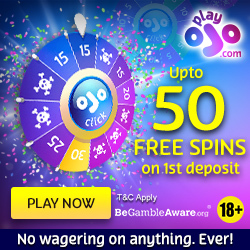 The player can bet up to 10 coins across 20 pay lines that are available. The various symbols that can be seen in the game include bumper cars, log flumes, clowns, ferris wheels and rockets along with normal J, K, Q and A symbols, which hold a low value. The amount of free spins and multipliers will entirely depend on player’s skill, so make sure that you hold your breath for as long as you can in this roller coaster of bonus rounds. The wild clown is the scatter symbol, which will replace any other symbol on the reel to help form a winning combination for the player. The clown only shows up on 1st, 3rd and the 5th reel. Ride tickets allow the players to enter the free spins round. 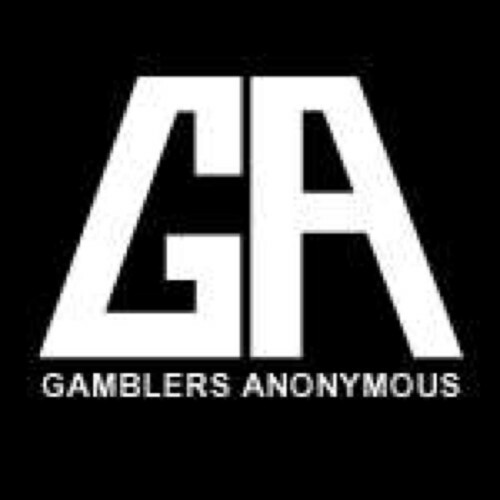 The player has a chance of winning 5, 10, or even 25 spins during this round with a multiplier of 3x. This round gets activated when 3, 4 or 5 tickets appear anywhere on the reels. Enormous prizes are up for grabs in this round. When at least 3 symbols of the girl riding the bumper car appear on the screen, the Bumper Cars bonus round is activated. The players can drive the bumper cars to collect coins in this bonus round. The objective is to grab 8 coins, while bumping into other cars. The Barker will introduce tricky games by taking the players in a room filled with toys. During this round, the player will see new symbols appearing on the reels. Each symbol represents a game, such as ring toss, basketball, rubber duck, stuffed gorilla, fortune teller, shoot the star and skee ball. The star card holds maximum value, therefore a suggestion would be to hit all 5 of them. The skee bonus round allows the player to throw balls at the ramp, in order to win more coins. Then there is the ice cream bonus round, which gets activated when at least three popsicles appear on the reels. The player has to catch the scoops of ice-cream with a cone. Midway Madness is definitely one of the best games by Rival Gaming due to its large variety of offerings. With neat graphics and spectacular features, it assures that the player will never run out of patience with this slot. For everyone who wants to stay young at heart, this is the perfect slot.